Double tap near 12 oclock to unlock watch. Tap to relock watch. 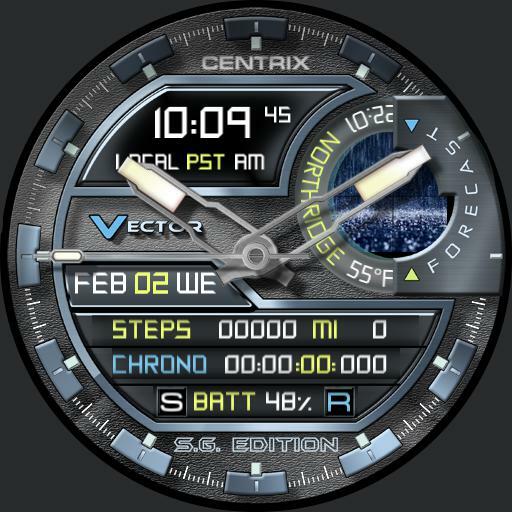 Tap digital time for time, 24hr time, 3 timezones set in wm settings. Tap S and R to operate chrono. Tap animated weather image to update weather.